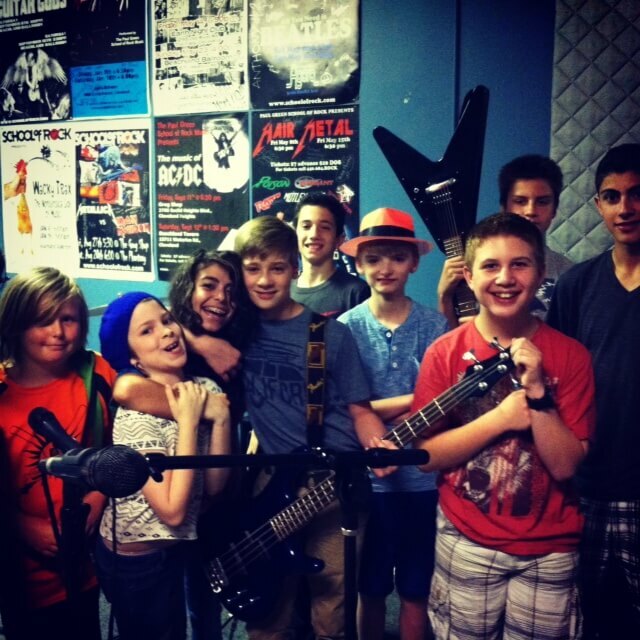 School of Rock Highland Heights’s music teachers are experienced musicians devoted to helping students attain musical proficiency. 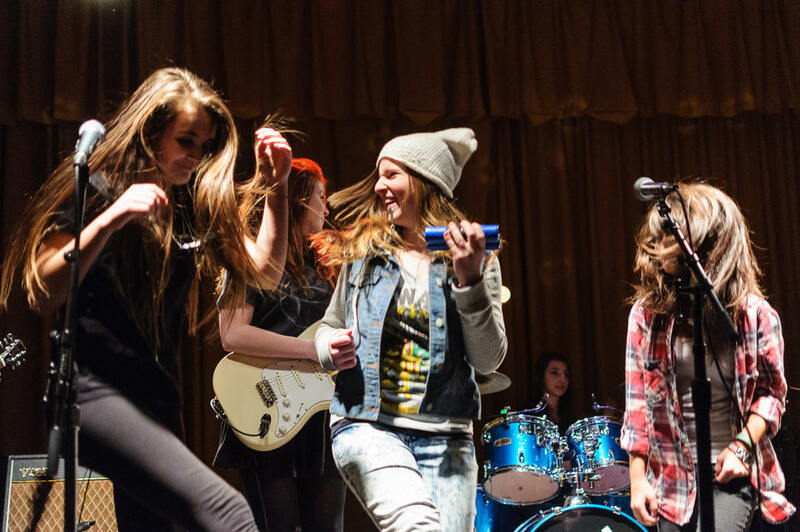 From singing to drums to guitar, our Highland Heights music instructors inspire and teach students to perform live. Dave prefers to say that he had "bassness" thrust upon him at an early age. The youngest of three brothers, one a guitar player and one a drummer, he was “stuck” on bass at age eight. However, they wanted to play Beatles, Monkees, and eventually Led Zeppelin tunes. 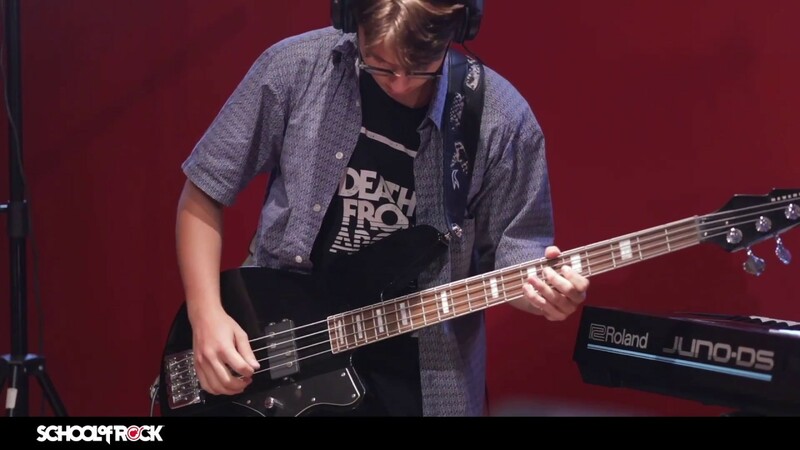 Learning the inspired, melodic and kinetic bass lines of Paul McCartney, Carol Kaye and John Paul Jones gave him both a love of the bass, and an appreciation for rock and pop arrangement. The bass was not simply a machine for holding down root notes, but was a dynamic and powerful element of the band. Like most musical youth, the allure of the lead guitar was still powerful. So, while his older brother was out, Dave “borrowed” his guitar as often as possible, using whatever fake or tablature book (those young, pre-internet days) to teach himself whatever he could: chord formations, lead lines, finger picking, anything to build up chops. 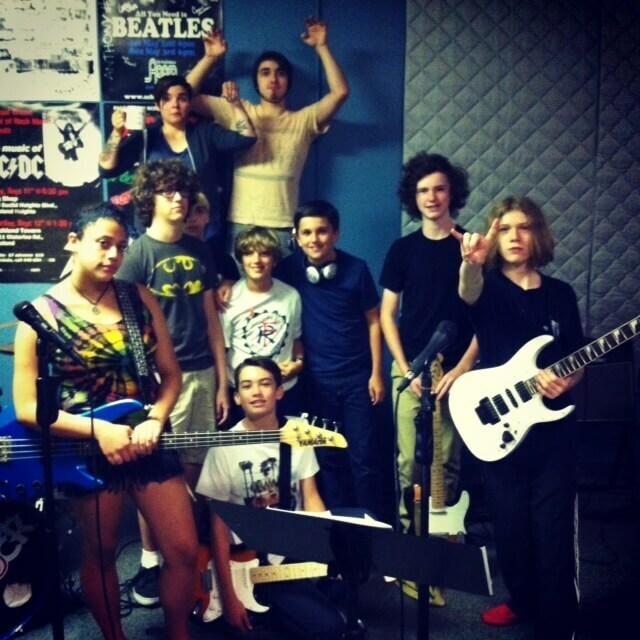 In addition to teaching at School of Rock, Dave currently plays bass with New Planet Trampoline and also Queen of Hell/Heavenly Queen. He is also the sound engineer at the Happy Dog on the west side of Cleveland, running sound for everything from punk, metal and noise to classical music and country. Music has been and continues to be his lifelong passion: to improve, to discover, to learn and to teach. Hallie’s music ‘journey’ began at a super early age. 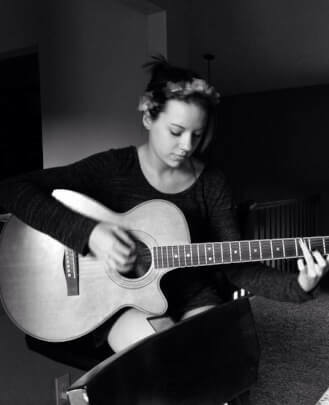 After learning correct vocal technique from her mother (who studied voice and has years of performance experience), And starting guitar lessons, Hallie was quickly thrust in to playing with church bands. 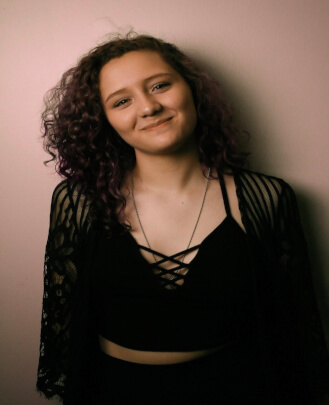 Hallie studied jazz and classical guitar for years and learned the fundamentals/gained musical experience through involvement in marching band/jazz band in high school, studying music theory in college, continuing to perform in church bands and playing in her own bands. 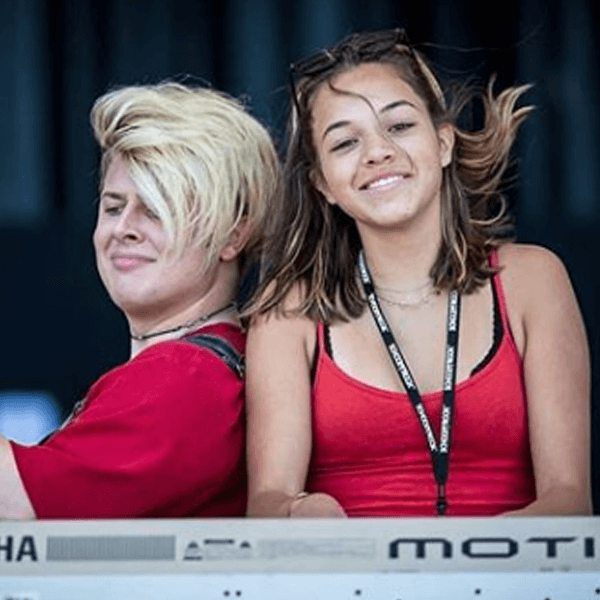 In addition to singing and playing guitar, Hallie figured out bass, drums, piano and ukulele and considers herself “not too shabby” at those instruments. 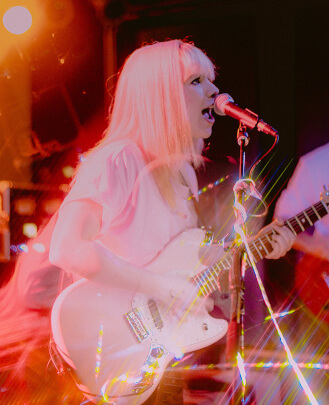 She is currently the lead singer, songwriter and one of the guitar players in a rock band called heyohwell. heyohwell has recorded in top-notch studios, worked with huge producers, opened for some of their favorite artists, played sold out shows and have gotten the opportunity to travel to really cool places for their music. 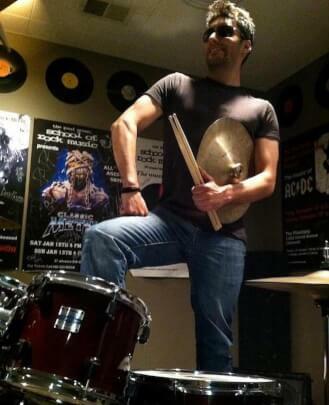 Drummer, percussionist and educator Neil Chastain has been around the Cleveland music scene for many years. He has performed with notable acts such as Roberto Ocasos and Latin jazz project Craw. Neil has also toured internationally with New York-based group Kokolo. Neil performs on many hand percussion instruments and creates electronic music under the name Pureplex. Donald Pelc was born in Cleveland, Ohio and grew up in the city of Seven Hills. 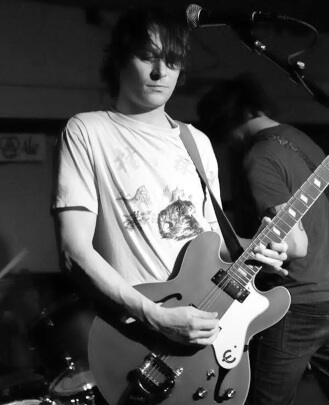 Donald developed a love of music at an early age and began playing guitar around eight years old. 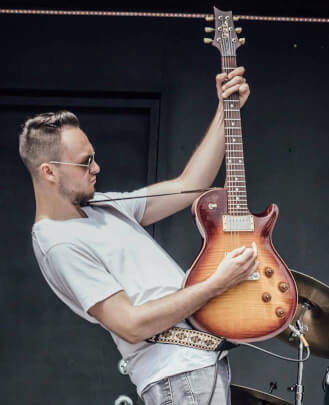 A former School of Rock student himself, Donald sought out to be the best musician he could be and still does so today. 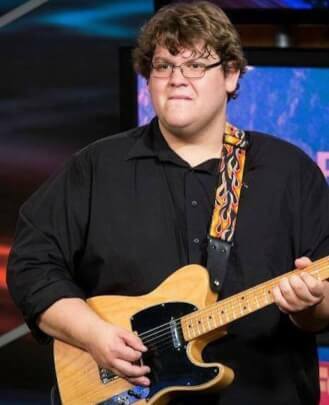 After making it into the school's house band and touring with the national AllStars, Pelc realized he could have a future in music. After high school, Donald chose to further his music education by attending Cleveland State University, where he graduated with a B.A. in Guitar Performance. 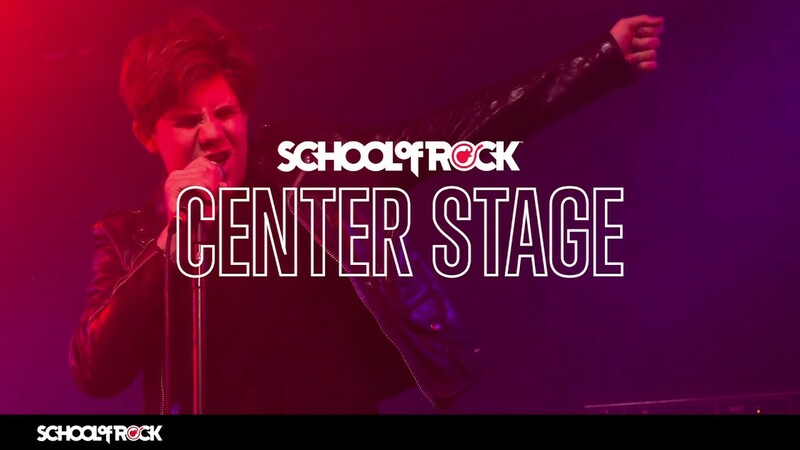 After joining the School of Rock staff, he quickly discovered his love of teaching and sharing his knowledge with other students. 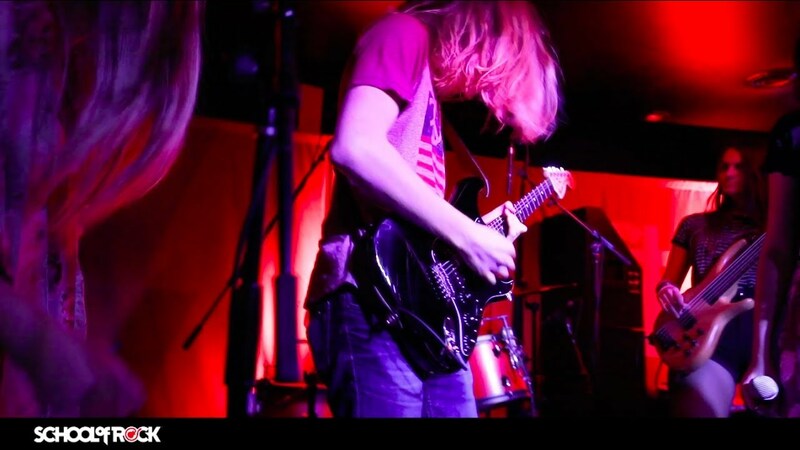 He is well-versed in the musical styles of rock, funk, blues, heavy metal and jazz. Donald plays guitar in various local bands and you can catch him playing around town any given weekend. Though he played in a few bands during my college years, it wasn’t until the late 90s that Ed connected with Cleveland’s thriving punk rock scene. Ed's experience being around so many creative people taught him that rock music is an art, a craft and an essential part of his life. In the early 2000s, Ed connected with Cleveland rock band Cobra Verde. They toured, recorded a few albums and even found themselves on the soundtracks of "The O.C." and "True Blood." Since then, Ed has played in a bunch of original bands. Currently he's busy with groups like The Jack Fords, Mike St. Jude and the Valentines, and Brazilian folk ensemble Chamba Music. Ed considers himself a student of musical history, and a big fan of music from around the globe, made by people from times and places very different from our own. Playing drums since the age of eight, and playing in rock bands steady since the age of 11, Joe has been a part of the music scene for 20 years. 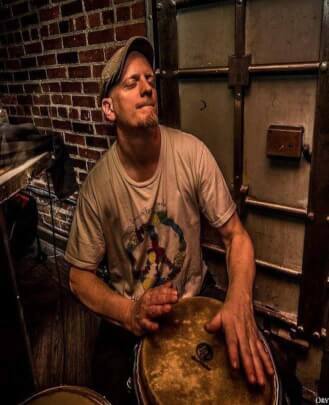 Dabbling in all genres, he is well-versed in funk, jazz, reggae, afro-cuban and drum corps, and is deeply rooted in rock. In high school, Joe was the recipient of the Louis Armstrong Jazz Award in 2001, and was the percussion section leader in marching band. 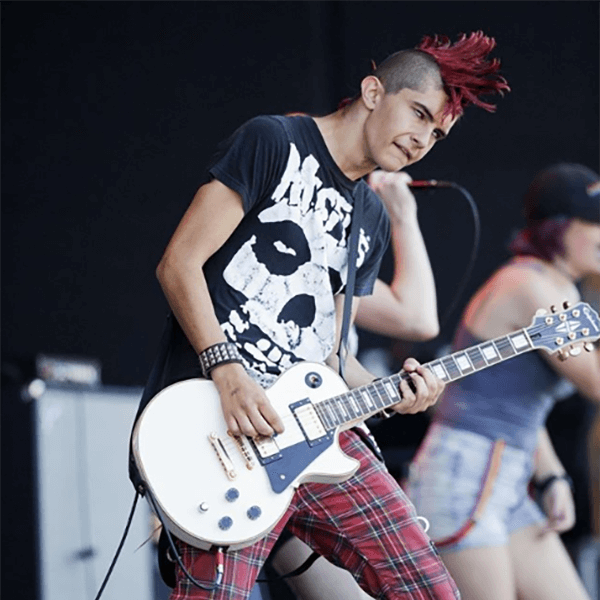 He has played in various groups such as Detagoh, The Recent Vintage, Drop Notion, Switchbladd Scarlett, The Stereo Riot, Surrounding Cities and many more. 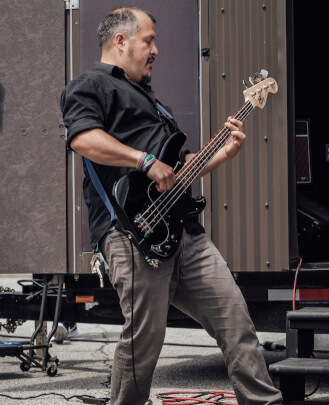 One of the original staff members at both the Cleveland West and Highland Heights School of Rock, Joe loves teaching music and giving students every bit of knowledge that he can. Tallulah knew music would be a huge part of her life when she got her first guitar at age six. 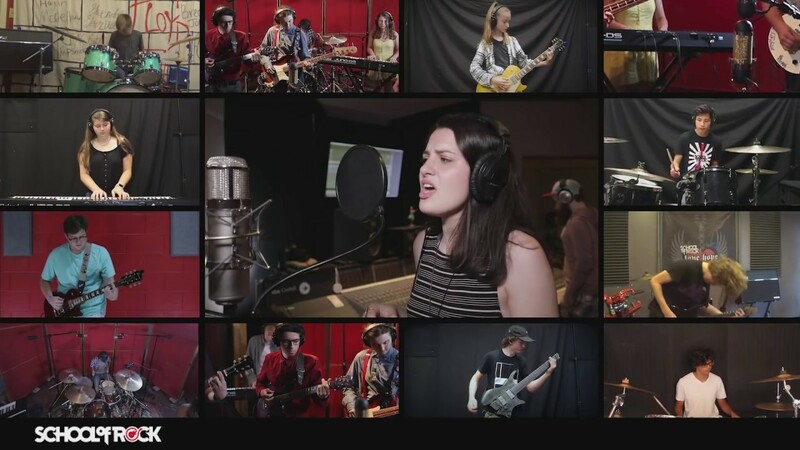 Joining School of Rock three years later, she began to love all sorts of music, from Weird Al to Green Day and The Beatles. 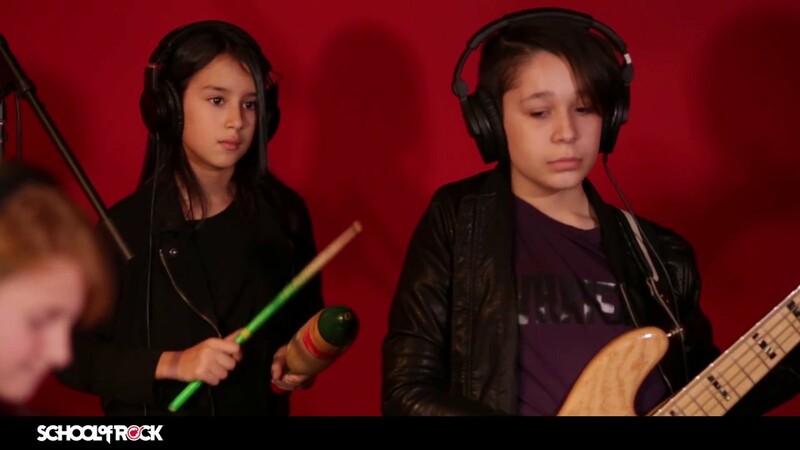 Somewhere down the line, she decided to give drumming a try. 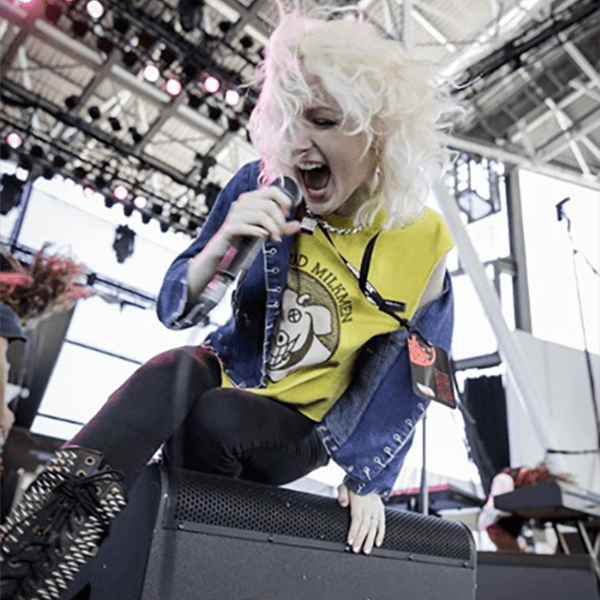 Playing drums not only opened her up to more metal, funk and classic rock, but also spurred a passion that caused her to be more outgoing and confident being herself. 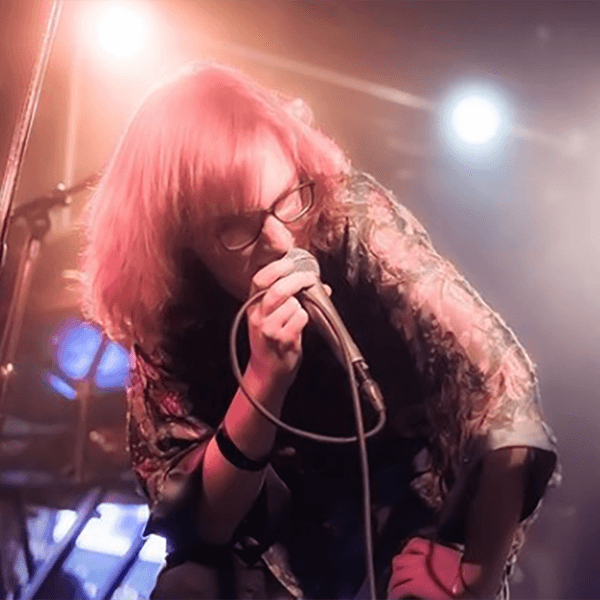 Since graduating as a student, she now plays drums for LILIEAE and fronts her own indie rock band. Chase fell in love with music at a very early age. His parents would play him the music of The Beatles, The Eagles and CCR. He picked up the guitar at age 12 and hasn't put it down since. 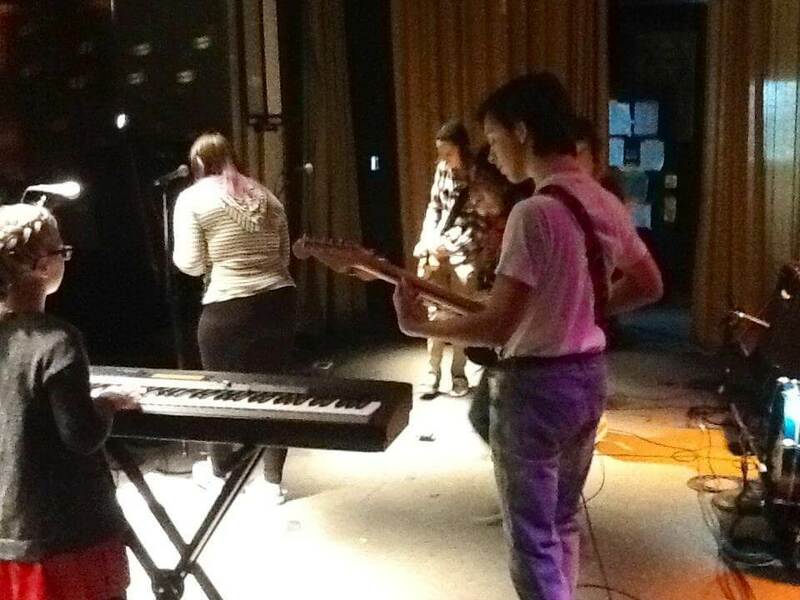 Chase was very active in middle school and high school, playing guitar in various school bands. He eventually started playing in restaurants and bars his junior year of high school. 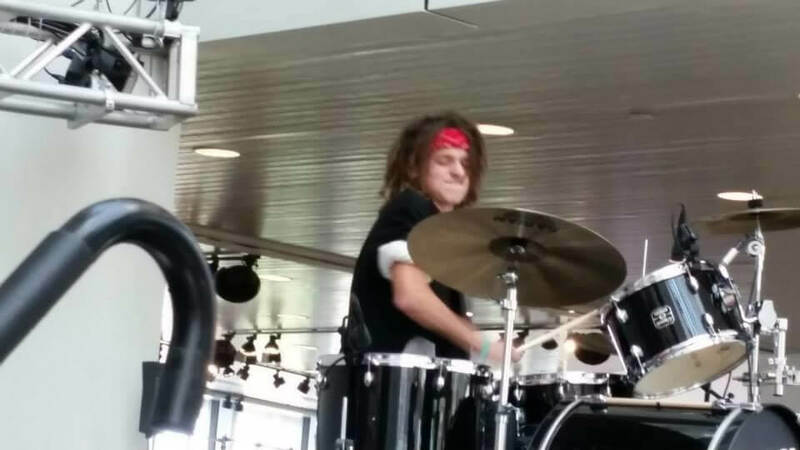 Since then, Chase has been playing all over town in original, wedding, cover and pit bands, including a Disney musical at Playhouse Square in Cleveland. 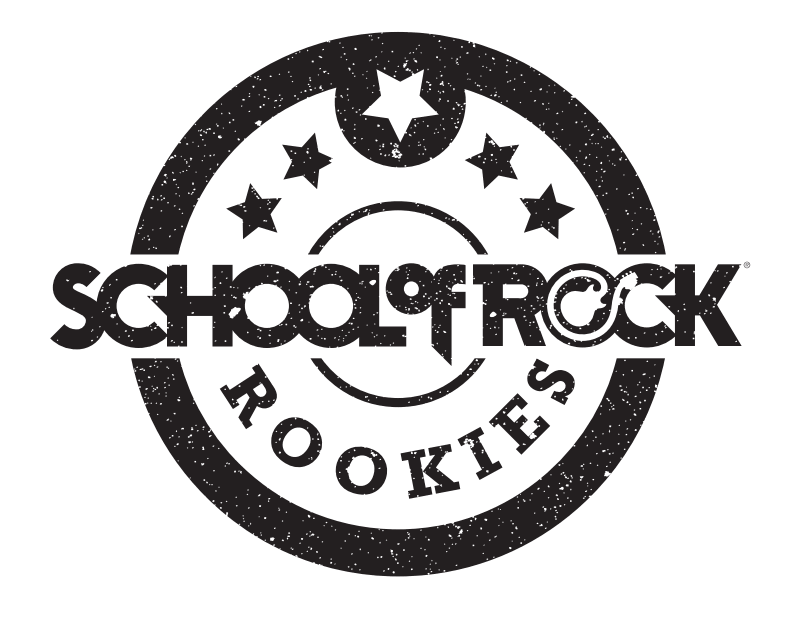 Chase is very excited to be sharing his musical knowledge and experience with all the students at School of Rock. Jeff started playing gigs when he was 15 years old. 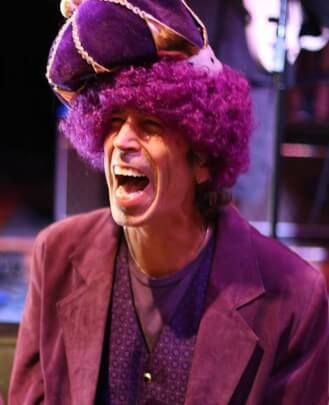 While in Cleveland, the notable area bands he played with were Strutter, Club Wow and the infamous Baloney Heads. All released records, were played on the then behemoth WMMS and opened for major touring acts. In 1978, Jeff moved to NYC to get deep into the punk rock scene. His punk band, Testors, toured and was on Bleeker Bob’s great punk label (punk fans, look this up!). With The Testors guitar player Gene Sinigalliano, they built and ran Ultra Sound Rehearsal studios for 33 successful years. It was one of the biggest, longest running rehearsal complexes in New York. Some great musicians Jeff's had lessons with are Steve Smith, Thomas Pridgen, Marvin ‘Smitty’ Smith, Pat Petrillo, Neal Smith and Norman Grossman. Some great musicians he's hit with are Cheetah Chrome, Jimmy Zero, Walter Luhr, Johnny Thunders, Sami Yaffa, Billy Sullivan, Frank Secich and Sonny Vincent. Jeff recorded at most of the great NYC studios (like Hit Factory and Right Track) and was signed to Atlantic, Geffen and MCA Records. Growing up in a household that had a grand piano to use at his disposal, Alex became interested in music at a young age. He started lessons at the age of five, studying with various teachers over a 10-year period and becoming well-versed in theory and different styles of playing. 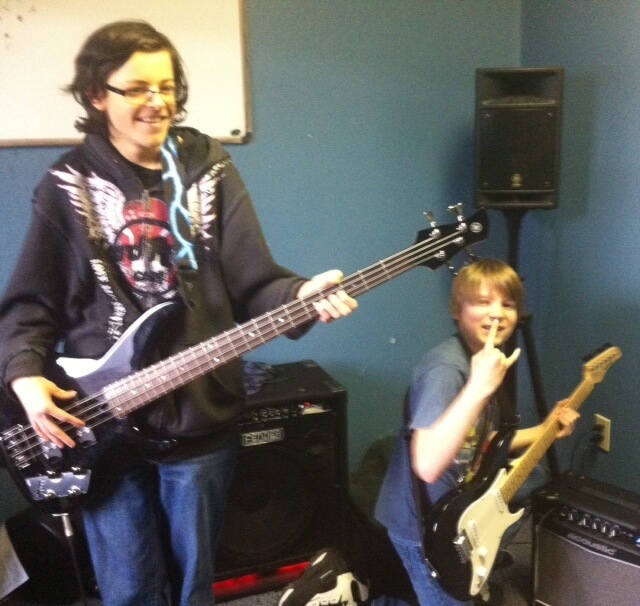 He strives to further his knowledge of music and playing ability every day. 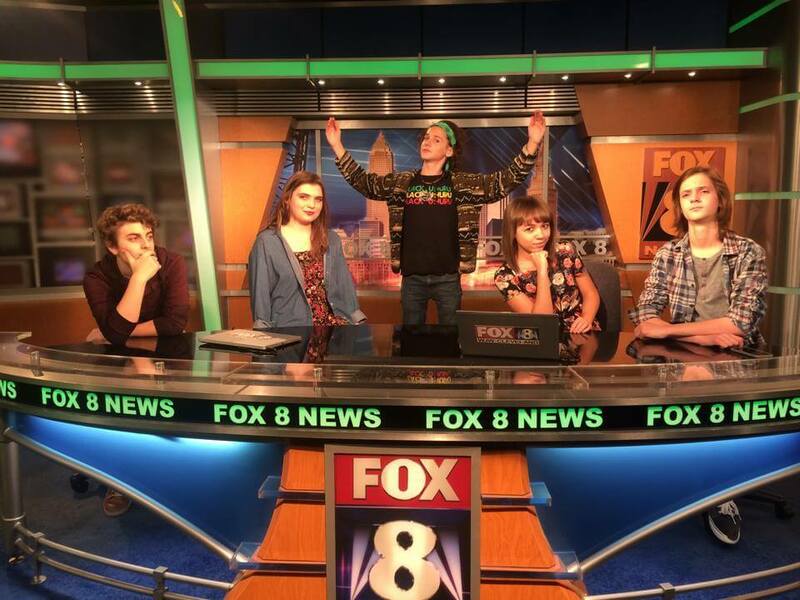 He’s gained experience playing the Cleveland music scene over the years with several original bands, as well as his current cover band, Pop Fiction. He hopes to pass his knowledge and passion for music and the piano to all of his students. Hayley began making music at a young age, singing to her family. At the age of 11, she joined a choir and sang for four years. When she was 14, she received a gorgeous Gibson 12-string guitar and it immediately sparked more interest in music. 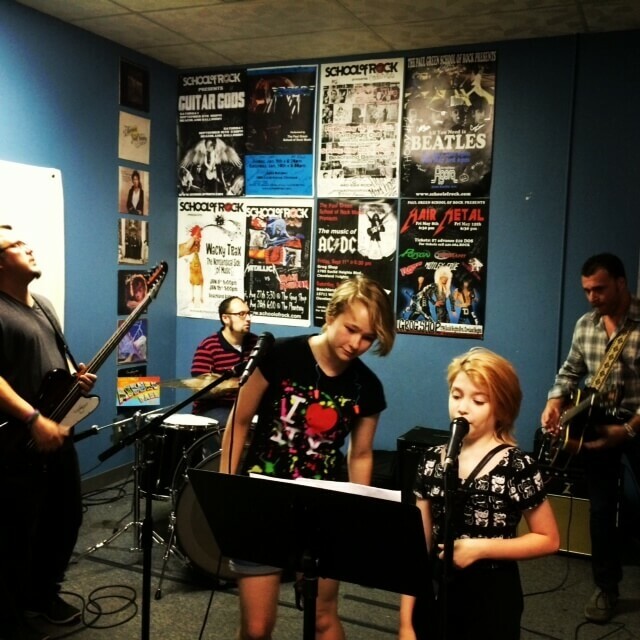 She started lessons at School of Rock and learned how to play multiple instruments. 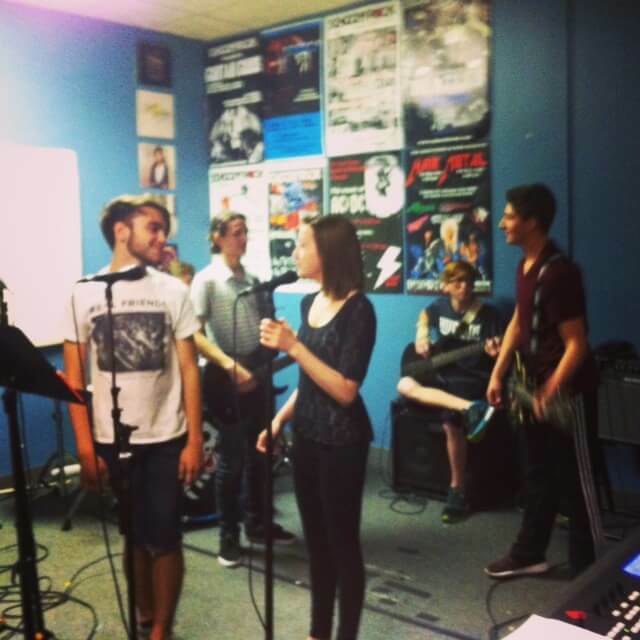 After a few years of being part of the Performance Program at School of Rock, Hayley became assistant director for Rock 101 and instructor of Rock Rookies. Hayley has officially fallen in love with teaching. 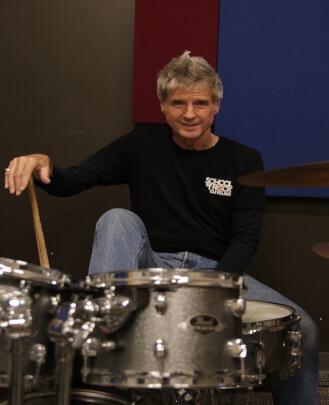 A veteran percussive engineer for the Cleveland music scene, Tommy played in American Noise, Donnie Iris, Eric Carmen and many local and national bands. He'd been doing some music directing and house band gigs for the Rock and Roll Hall of Fame when, in order to get him out of their collective hair, they pointed Tommy towards the new School of Rock franchise about to open, and that was that. 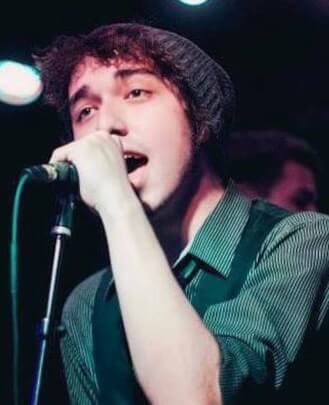 As far back as he can remember, Cleveland's own Matt Storer has always been singing. 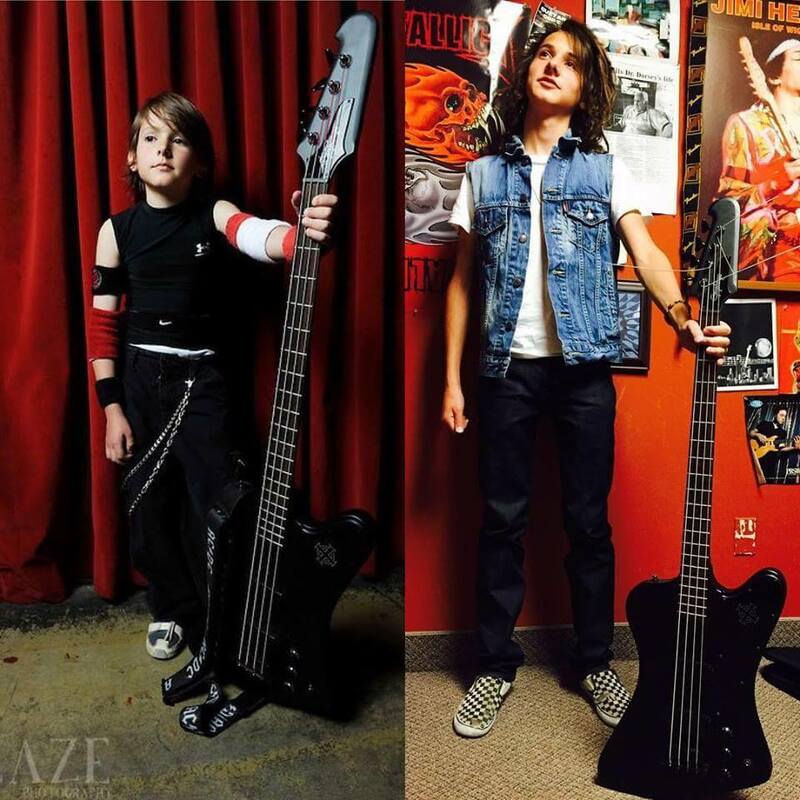 His freshman year in high school, Matt discovered School of Rock and it changed his life forever. 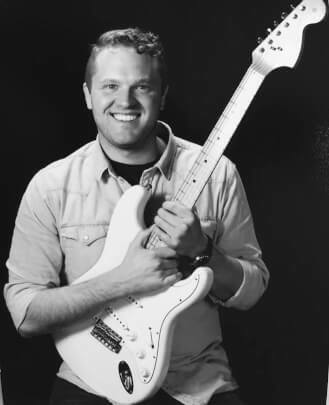 Matt survived 12 performance shows, three years in the house band, three AllStars tours and one east coast tour. 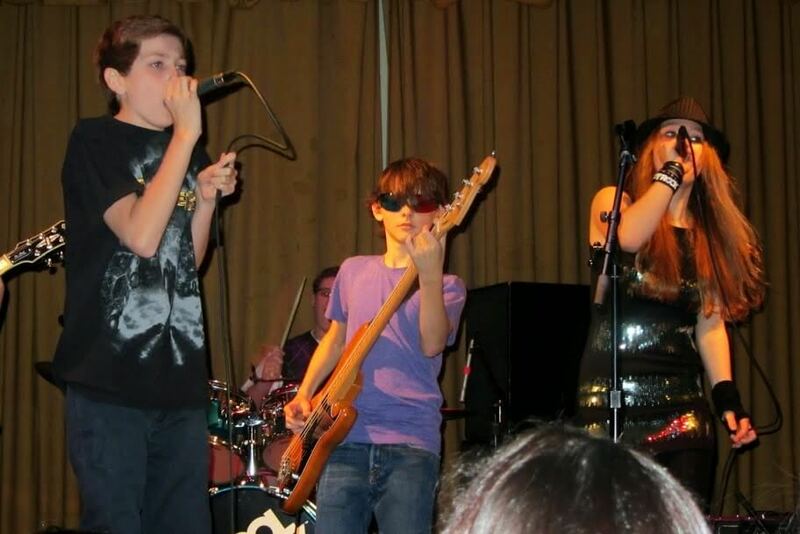 Eventually, Matt was offered the opportunity to join the staff at School of Rock. Matt loves his job and believes it is an amazing thing to be able to teach and watch his students grow not only as young musicians, but as people too. Joe began his studies in music at the age of five on piano. His teacher introduced him to Miles Davis and John Coltrane songs along with afro-cuban rhythms, jazz and the blues. 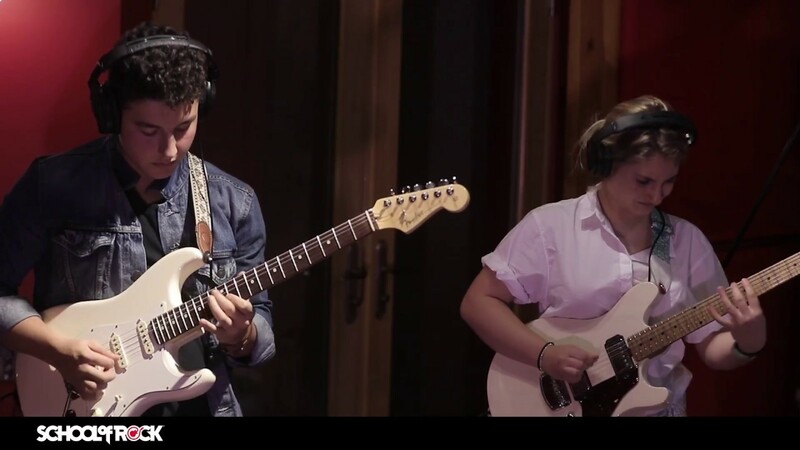 Taking a job at age 13 in a recording studio his piano teacher owned, he expanded the instruments that he played to include drums, bass and guitar. He also learned how to use a mixing board, mics and recording technology. After studying guitar with Bob McGuire and Lee Bush, Joe went on to play bass in the band Redwater RoJo, nominated best rock band in Cleveland two years consecutively in "The Free Times" and "Scene Magazine." 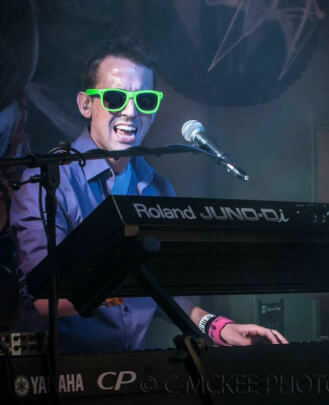 Joe now plays guitar, keys and sings in the funk/soul group We The People, as well as directs a choir at St. Mary's Church in Chardon. He is currently working on writing, recording and producing his first album. 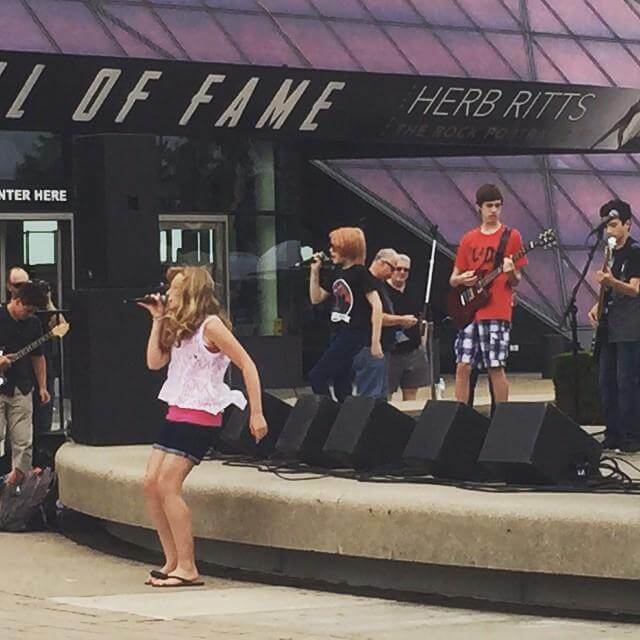 A 20+ year veteran singer in the Cleveland music scene, Marysa started off touring the world with The Singing Angels at age eight. She graduated with a degree in Vocal Performance from Heidelberg University and dove right into rock and roll music. 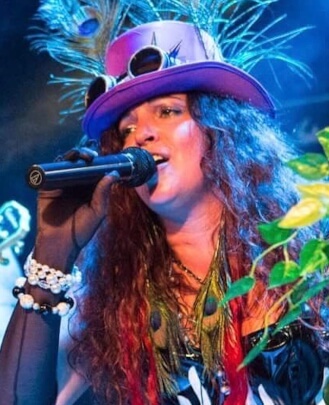 She has been in multiple bands, playing and paying tribute to Pink Floyd, David Bowie, Alex Harvey, original country music and a multitude of classic rock music from the 1970s. Janis Joplin is her musical soulmate. Marysa had a taste for education, so she earned her Master of Arts in Education from Ursuline College and taught elementary school for 10 years. Somewhere along her educational journey, she drove past School of Rock. 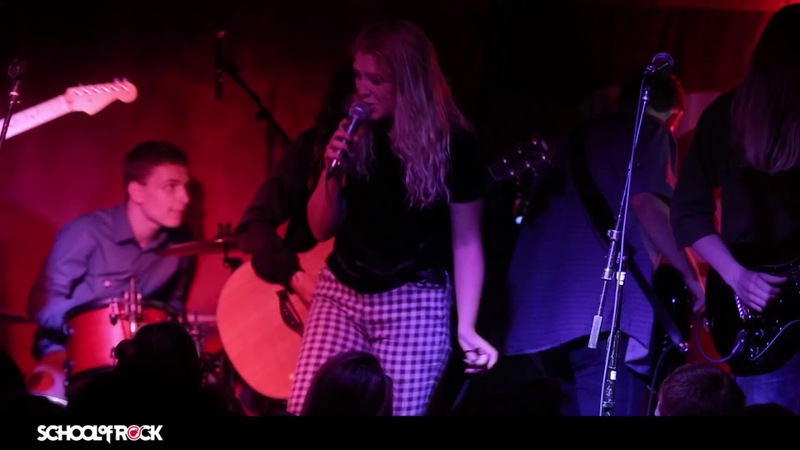 A couple weeks later, she was backstage at House of Blues getting ready to perform. 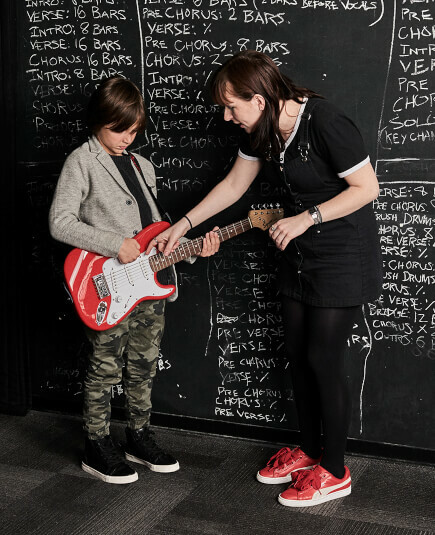 She met the franchise owner of School of Rock backstage, and the rest is history. Marysa taught vocal lessons part time at the Cleveland West location for 10 years, and then was offered to be the General Manager of the Highland Heights school. 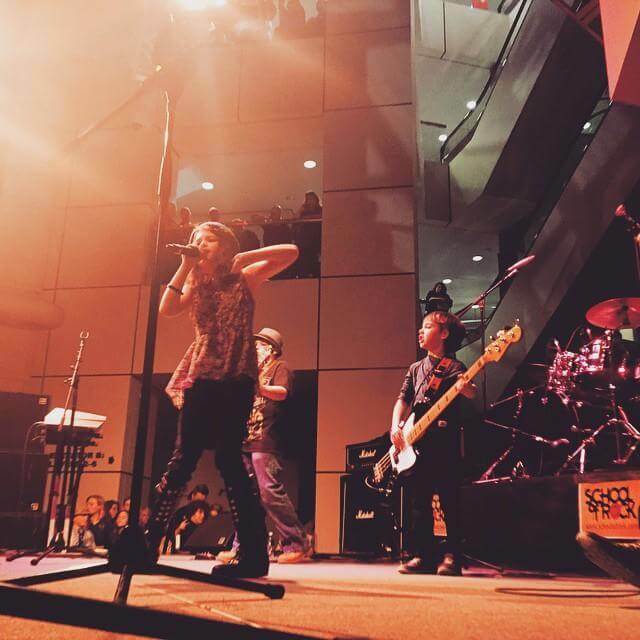 Marysa continues to play out regularly with her current band, and is living her dream of having a full-time music career.